Nathaniel Goss was born in Simsbury, Connecticut 26 January 1749. His father Philip Goss IV and mother Mary Kendall had migrated to Simsbury about 1748-9 leaving Brookfield, Massachusetts. At that time, his father had all the children recorded in the Simsbury records for some unknown reason. Source: Simsbury Connecticut, Births, Marriages and Deaths, transcribed from Town Records, published by Albert C. Bates, Librarian Connecticut Historical Society, Page 80. There are two deeds that show the date of land transactions that Philip Goss IV participated in about this time. The first deed is dated 11 of April 1748, Philip Goss of Brookfield, County of Worcester in which Philip sells land to a Job Lane of Bedford in Middlesex Co., MA. Mary is also involved with this deed. This implies that they are still in Brookfield, MA. The second deed is Isaac Burr of Windsor, CT selling land to Philip Goss of Simsbury dated 6 April 1749. This means that Philip was living in Simsbury at the time of this deed. Based on these two deeds, I believe that Nathaniel Goss was born 26 January of 1749. These two deeds have been featured on this blog in the past posts about the life of Philip Goss IV and Mary Kendall per the above links. You might want to read other posts before and after to get the context. The other option is to go to the top of the blog and find the Page of the table of contents for Philip Goss IV and Mary Kendall to see a listing of the posts that have been written. We do not have much about Nathaniel Goss from his birth in 1749 till he appears with his father Philip Goss IV in the records of the Wyoming Valley of Pennsylvania about 1769. They were part of the Connecticut Settlers who purchased lot shares from the Susquehannah Company. The “h” was dropped at a later date. I assume that Nathaniel migrated with his parents from Simsbury/North Granby to Granville and then Becket and from there to the Wyoming Valley. Nathaniel would have been about 20 years old when he left Becket, Massachusetts and headed to the Wyoming Valley with his father Philip Goss. What follows is some of the petitions and lists that Nathaniel Goss was involved with. Others will be featured in future posts. Oct 1769 one page of 4 pages of a petition with Goss names. Source of picture: Susquehanna Settlers & Western Lands. FHL Two Microfilms #3622 Index and #3623 Vols. 1-2 1755-1819 The area of Luzerne Co., PA has claims from Pennsylvania, Connecticut, Delaware. Connecticut was involved and it was called Westmoreland Co., PA and later it became Luzerne Co., PA. This information is at the Connecticut State Library in Hartford, CT. Susquehanna Settlers 1755-1796, Western Lands 1783-1789 One Volume and Index – 1910. Goss are on pg. 17 of the index. David Whittlesey, Job Green, Philip Goss, Joshua Whitney, Abraham Savage, Ebenezer Stearns, Sylvester Chesebrough, Zephaniah Thayer, Eliphalet Jewel, Daniel Gore, Ozias Yale, *Henry Wall, Rowland Barton, Gideon Lawrence, Asa Lawrence, Nathaniel Watson, Philip Weeks, Thomas Weeks, Asher Harrot, Ebenezer Hebbard, Morgan Carvan, Samuel Marvin, Silas Gore, Ebenezer Northrop, Joshua Lampher, Joseph Hillman, Abel Pierce, Jabez Roberts, Jonathan Corrington, John Dorrance, Noah Allen, Robert Jackson, Zebulon Hawksey, James Dunkin, Caleb Tennant, Zerobable Wightman, Gurdon Hopson, Asa Lee, Thomas Wallworth, Robert Hunter, John Baker, Jonathan Orms, Daniel Angel, Elias Roberts, Nicholas Manvil, Thomas Gray, Joseph Gaylord, William Churchell, Henry Strong, Zebulon Frisbee, Hezekiah Knap, John Kenyon, Preserved Taylor, Isaac Bennett, Uriah Marvin, Abisha Bingham, Moses Hebbard, Jr., Jabez Fish, Peris Briggs, Aaron Walter, James May, Samuel Badger. Jabez Cooke, Samuel Dorrance, *John Comstock, Samuel Hotchkiss, William Leonard, Jesse Leonard, Elisha Avery, Ezra Buel, Gershom Hewit, Nathaniel Goss, Benjamin Hewit, Benjamin Hewit, Jr., Elias Thomas, Abijah Mock, Ephraim Fellows, Joseph Arnold, Ephraim Arnold, Benjamin Ashley, William White, Stephen Hull, Diah Hull, Joseph Lee, Samuel [p.51] Wybrant, Reuben Hurlbut, Jenks Corah, Obadiah Gore, Jr., Caleb White, Samuel Sweet. Thomas Knight, John Jollee, Ebenezer Norton, Enos Yale, John Wiley, Timothy Vorce, Cyrus Kenne, John Shaw, James Forsythe, *Peter Harris, Abel Smith, Elias Parks, Joshua Maxfield, John Murphy, *Thomas Bennet, Christopher Avery, Elisha Babcock, John Perkins, Joseph Slocum, Robert Hopkins, Benjamin Shoemaker, Jr., Jabez Sill, Parshall Terry, John Delong, *Theophilus Westover, John Sterling, Joseph Morse, Stephen Fuller, Andrew Durkee, Andrew Medcalf, Daniel Brown, Jonathan Buck, David Mead, Thomas Perlin, William Wallsworth, Thomas Draper, James Smith, *James Atherton, Jr., *Oliver Smith, James Evans, Eleazer Carey, *Cyprian Lothrop, James Nesbitt, Joseph Webster, Samuel Millington, Benjamin Budd, John Lee, Josiah Dean, Zophur Teed, Moses Hebbard, Dan Murdock, Noah Lee, Stephen Lee, Lemuel Smith, Silas Park, Stephen Hungerford, Zerobable Jerorum, Comfort Goss, William Draper, Thomas McClure, Peter Ayers, Solomon Johnson, Phineas Stevens, Abraham Colt, Elijah Buck, Noah Read, Nathan Beach, Job Green, Jr., Fred Wise, Stephen Jenkins, Daniel Marvin, Zachariah Squier, Henry Wall, Simeon Draper, John Wallsworth, Ebenezer Stone, Thomas Olcott, Stephen Hinsdale, Benjamin Dorchaster, Elijah Witter, Oliver Post, Daniel Cass, Isaac Tracy, Samuel Story, John Mitchel, Samuel Orton, Christopher Gardner, Duty Gerold, Peris Bradford, Samuel Morgan, John Clark, Elijah Lewis, Timothy Hopkins, Edward Johnson, Jacob Dingman, Capt. Prince Alden, Benedict Satterlee, Naniad Coleman, Peter Comstock, John Franklin, Benjamin Matthews, John Durkee, William Gallop, Stephen Hurlbut, Stephen Miles. Source: History of Luzerne Co., PA, H.C. Bradsby, Chapter II, 1762: pg. 50 to 51 [1769 to 1771]. This book is available online at Internet Archive for viewing. The list starts with Allen, Noah to Frisbie, Zebulon on the first page 497 and on pg. 498 starts with Forsythe, James and ends with Yale, Ozias. On pg. 498 first column lists – Goss, Comfort, Goss, Nathaniel and Goss Philip. Source: History of Wilkes-Barre, Harvey, Vol. 1, pg. 497 – 498 at bottom of page (See Pennsylvania Archives Books, “First Series, IV:342). As construction progressed, the little community grew into a military camp. Scouts and sentries patrolled the perimeter and no one entered without a Company certificate nor left without a written pass. The Clerk of the Company of settlers maintained a running list of those arriving and leaving. His list, source 5, of 195 names dated Jun 2 , shows those settlers actually in Wyoming at that date. Source: History of Wilkes-Barre, Vol. I pg. 508-509 – 29 Aug 1769. Source: History of Wilkes-Barre, Vol. II pgs. 658 and 659. The Goss Family started out in Plymouth Township in the Wyoming Valley when they arrived in 1769 and settled about 1773. Source: History of Luzerne, Lackawanna and Wyoming Counties, PA with Illustrations and Biographical Sketches – Huntington Township C. New York: W.W. Munsell & Co. page. 348. This book can be found online at Internet Archive for viewing. By an enrollment of the resident inhabitants of the valley, made in 1773, in the handwriting of Col. Zebulon Butler, the following persons are known to have been settlers in Plymouth: Noah Allen, Peter Ayres, Capt. Prince Alden, John Baker, Isaac Bennett, Daniel Brown, Naniad Coleman, Aaron Dean, Stephen Fuller, Joseph Gaylord, Nathaniel Goss, Comfort Goss, Timothy Hopkins, William Leonard, Jesse Leonard, Samuel Marvin, Nicholas Manville, Joseph Morse, James Nesbitt, Abel Pierce, Timothy Pierce, Jabez Roberts, Samuel Sweet, John Shaw, David Whittlesey and Nathaniel Watson. Source: History of Luzerne Co., H. C. Bradsby, Chapter XXI (continued) Plymouth Township pg 634 and through to 641, Goss are listed pg 635. List of Settlers on the Susquhannah River, October 1771, prepared by Zebulon Butler, Lazarus Stewart and John Smith of the Committee of the Settlers contains 121 names – Goss, Nathaniel appears on page 715 1st column, pages 714-714. A memorial dated 26 September 1772 and drawn up on October 3d. In the State Library of Connecticut it lists Philip Goss, Solomon Goss, Nathaniel Goss on page 752 and many others. This is probably a later attempt at asking for a county. The Connecticut settlers were ignored a lot by the Connecticut General Assembly. Source: History of Wilkes-Barre Vol. I page 714-715, 732-3, 752. Another source of the above petitions and or lists, can be found in the Susquehannah Company Papers Book Series, Volume III, 1768-1769 pg. 170-172: , Volume IV: 1770-1772, pg. 76 – 83, pg. 41 , pg. 81 , pg. 215 . This series of books is not online but can be found in major large libraries or genealogical societies. Donna Bingham Munger in her Connecticut’s Pennsylvania Colony Vol. II Settlers is also a great list of all the above and more of the petitions/lists that were created regarding the settlers. She has listed 15 listings for Nathaniel Goss giving her sources. Which I mention some above. It is a lot easier to wade through her book then Harvey’s History of Wilkes-Barre, the online search engine is not that good. She also writes and explains what was happening at this time giving details about the petitions and lists using various sources as I presented above where she describes the settlement. This book is not online. Donna Bingham Munger’s Settler’s Vol. II: In August of 1769 there was a petition of John Durkee and others for a County on Susquehannah River. Original in Susquehannah Settlers I: 14a-d; copies in Harvey 509-10 (169 names) Papers 3: (70-73 (171 names). We see from the above histories of the area, that Nathaniel Goss jumped right into the political events of the Wyoming Valley from the beginning in 1769. He would continue to do so throughout his life. Please note that each source above has their own way of presenting these petitions and lists and it can be confusing because they could be the same list. “These may certify that Mr. Nathaniel Goss and Miss Hannah Scott, both of Plymouth in Westmoreland, were joyned in lawful marriage by me Jacob Johnson minister at Wilkes-Barre in Westmoreland, November 10, 1774.” Susquehannah Co. Papers, Deed Book 1, page. 159. Unfortunately, I don’t have a copy of this marriage record. It is either in the Pennsylvania Archives in Harrisburg or The Connecticut Historical Society has the records and they are located in Hartford, CT. I wonder if there are more marriages in the deed books for the Susquehannah Company? The above date of 1774 is the earliest date that we may have for the date that the Scott family came to the Wyoming Valley from Waterbury, Connecticut. Hannah Scott born 28 September 1755 in Waterbury, Connecticut, was a daughter of Obadiah Scott and Hannah Howe. Source: Connecticut Town Birth Records, pre 1870 (Barbour Collection) Waterbury Vital Records 1686-1853. Hannah d. [Obadiah & Hannah] b. Sept 28, 1755 Vol. 1, pg 367. Here is an interesting comment I found in a manuscript at the Connecticut Historical Society in Hartford. Source: Connecticut Historical Scott Sources – David Scott Descendancy – 39 sources, a collection of manuscripts and more. Hannah had at least 6 siblings, one of which was Olive Scott who married Solomon Goss, my ancestor. He was a brother to Nathaniel Goss. Two other siblings will also be featured in future posts. Jesse Scott b. 1763 has been featured already in family matters and land dealings on this blog regarding the Goss Family. The other is Obadiah Scott III born 1771 whom I believe migrated to Washington County, Ohio and died there. Source: The Barbour Collection of Connecticut Town Vital Records, Waterbury 1686-1853, Scott pg. 312 to 319, compiled by Jerry Lynn Burket & General Editor Lorraine Cooke White, Genealogy Publishing Company. Ancestry.com has this collection and Hathitrust.org limited search. Internet Archive (archive.org) has copies Waterbury is in Vol. 50. There is also a source for the Scott Family: The Town and City of Waterbury, Connecticut, from the Aboriginal Period to the Year Eighteen Hundred and Ninety-five, Vol. I pg. Ap 121 Scott, Edited by Joseph Anderson, D.D., The Price & Lee Company, New Haven, CT 1896. Hannah and Olive came from an old family line that settled Waterbury, Connecticut. I will go into the Scott family history when I resume writing posts about Solomon Goss and his life in Pennsylvania. In summary: We see that Nathaniel Goss came from Becket, MA with his father Philip Goss to settle in the Wyoming Valley of Pennsylvania in 1769. We know that the land along the Susquehanna River was claimed by Connecticut at that time. Philip Goss was a shareholder in the Susquehannah Company. This company was trying to settle the Wyoming Valley area. We also see that Nathaniel was involved in the politics of the time and signed petitions and appears in settlers lists of the area along with other Goss family. We also know that he married in 1774 in Plymouth, PA. In the next post let’s take a look at Nathaniel Goss’s military involvement in the Wyoming Valley. Philip Goss IV and Mary Kendall had a daughter named Experience. She was born 8 October 1747 in Brookfield, Massachusetts. She is also recorded in the Simsbury, CT records along with some of her siblings. Source: Massachusetts, Town and Vital Records, 1620-1988, Experience Goss, borth 8 October 1747 in Brookfield, MA to Philip Goss and Mary Goss. Sources: Simsbury Births, page 80, Simsbury Connecticut, Births, Marriages and Deaths, Transcribed from Town Records and published by Albert C. Bates. It looks like Experience survived the move to Simsbury, Connecticut along with her siblings, Sarah, Philip, and Nathaniel for she is listed in the vital records there.  I have not found any evidence of a burial or death recorded in Simsbury CT or North Granby. Nor any burials for Granville or Becket, MA were Philip Goss and Mary Kendall migrated to before leaving for the Wyoming Valley in Pennsylvania. (c.) Experience: b. 8 Oct. 1747 (Simsbury, Conn. Town Meetings, Vol. 3, p. 179) m. although no proof furnished, married to a Levi BALDWIN, presumably from Conn. and they removed to Barnston, P.Q. Canada where she died in 1815. No further data. Source: White-Goss Mayflower Ancestry through William White, the Mayflower Passenger, by Paul H. Goss, 1947. A copy on Family History Film #0924004, pages 109 to 122. The Mayflower Lineage of Ebenezer Goss and his descendants. Experience would have been about 22 years old when her father Philip Goss IV migrated to the Wyoming Valley of Pennsylvania in 1769. The histories all mention the brothers but not the daughters except Sarah who married Enos Seward. Regarding the possibility that she married a Levi Baldwin and went to Quebec Canada, I have found that this is not true. Levi Baldwin married an Experience Goff, not Goss. When Paul was doing his research he was doing it the hard way with studying books, indexes and writing letters back in the 1930 and 1940’s so it was difficult to find information. He was not using the computer. I found a birth of an Experience Goff on 27 Apr 1759 in Rehoboth, MA a child of Joseph Goff and Patience Goff. Source: Rehoboth, MA Vital Records 1642-1896, Ancestry.com. Based on the above information, I believe that Experience probably died young and is buried somewhere in the Simsbury area, most likely North Granby, just north of Simsbury Connecticut. It is where Philip Goss IV had his land. She could have died in Granville or Becket, but I was all over those records without success, even traveling to the all these areas. I found Granville, MA to be tough and hard to find people in the records. In the Philip Goss Land History that I have featured in past posts there is no mention of Experience or any descendants of hers. Jesse Scott did a disposition listing the Philip Goss heirs, click on the photo and it will open. It reads: Philip, Nathaniel, Solomon, David, Ebenezer, & Mary Gofs. In the next post, I will start posting about a son of Philip Goss IV and Mary Kendall, Nathaniel Goss and his family. Nathaniel was a key player in the Connecticut settlement in the Wyoming Valley of Pennsylvania. Philip Goss and Huldah, his wife, were very busy buying and selling land during their life time in Luzerne County, Pennsylvania. Their children were involved in some of those land transactions as we will see. I might not have all the deeds but this is a good start. Many of the descriptions of the land for sale are very detailed in these deeds and lead to patents and other deeds quoted in the full deed. It is quite fascinating and complicated. The following will be a summary of deeds that you can find at FamilySearch under Luzerne County Land Records (online Family History Library website). 1813 – Joseph Batchelor to Philip Goss Vol. 16, pg 82-83, 4 September, 1813. Both living in Huntington Twp. $400, tract or parcel of land being part of Lots No. 38 & 39 in the 2nd Division…..granted to J. Batchelor by patent 24 February 1813, in Patent Book H, No. 8 pg 579. Containing 101 acres & fifty-four perches. Signed by Joseph Batchelor and Poly (her mark) Batchelor. In the presence of Charles E. Gaylord, 4 Sept 1813, Recorded March 16, 1814. 1817 Cyrus Fellows to Philip Goss, Jun’r, Vol. 17, pg. 571, 5 April, 1817, both of Huntington Twp. $100, piece or parcel of land being part of lot No. 40 in the 2nd Division, Enrolled in Patent Book H, No. 5, page 375, 25 acres, Signed by Cyrus Fellows and Mary Fellows. Witnessed Char’s E. Gaylord and Lydia (her marked) Steel. Signed by Char’s E. Gaylord JP 5 April 1817, Recorded April 7, 1817. 1817 – Thomas Dodson & wife to Philip Goss, Junr. Vol. 18, page. 302-303, 12 September 1817. Thomas Dodson and Mehitable his wife, $120, both of Huntington Twp., Tract of land being part of Lot No. 40 in the 2nd Division…containing 20 acres. Signed Thomas Dodson and Mable Dodson, Witnesses Charles E. Gaylord and Stephen Dodson. Signed by Charles E. Gaylord JP 12 September 1817, Recorded Nov. 11, 1817. Philip & Huldah Goss to Asahel Goss 1849 portion of deed. 1849 – Asahel Goss & Philip Goss & Huldah et all Vol. 65 pge 170, Mar 1849, recorded 22 Apr 1856 – Sum of $600 certain lot of land in Huntington Township beginning at a corner of the township line to Isaac Bailey land, 9 acres 110 perches…Witnesses John Blanchard and Rebecca I. Allen, Signed by John Blanchard J. P.
1852 – Philip Goss & W. (Huldah) to Mary Steele, 22 December 1852, Vol. 55, page 131 actual page 105-106, $200, both of Huntington Twp. containing 20 acres, Part of Lot No. 33 2nd Division granted to Joseph Bachelor and the said Bachelor deed the same to John Bowman and the said John Bowman deeded the same to said Philip Goss, by deed bearing date 21 day of August 1818. Signed by Philip Goss and Huldah Goss, witnessed by Benjamin Harvey, Rosanna Harvey. Signed by Benjamin Harvey JP, Recorded 25 January 1853. 1856 – Weston Goss & Wife to Jacob Steel, Vol. 182, page 449-450, 21 March 1856, Weston Goss & Delanah his wife of Fairmount Twp. to Jacob Steel of Ross Township, for land in Fairmount Twp. $500, 48 acres. Signed by Weston Goss and Delanah Goss, Witnessed by John Jackson and Hester A. Steele. Signed by J. F. Laycock JP, Recorded 2nd Dec. 1874. 1858 – R. B. Goss et all to Firman V. Taylor, ___ ____1858, Vol. 85, pages 501 and 502 and 503 Richard Goss, James Goss, & Esther his wife all from Huntington Twp. $1800, tract of land — being part of lot No. 38 2nd division and Lots No 42 & Lot 38 in 2 Division conveyed by Philip Goss to Mary Steel Deed bearing date December 22 1852 and conveyed by Mary Steele to the aforesaid Richard & James Goss by assignment dated December 15, 1855 Lots 42 & 43 conveyed to Jacob Steele by deed February 11th 1853 — Containing 23 acres and 34 perches being part of Lot 40 1st tier of Lots Conveyed to Wm. Ronns by Seth Trescott deed of Apr 13, 1844 by Koons to J Steel and Jacob Steel conveyed to Richard & James Goss by Assignment Dec 15, 1855. Signed by R. B. Goss, J.W. Goss and Esther A. Goss. Witnessed by John H. Smith, M. S Comstock. Signed by John H. Smith JP W. R. Robing JP, Recorded March 14, 1862. 1859 – Asahel Gofs & Wife to Rebecca J. Allen, Vol. 89, pg 99, 5 February 1859. Rebecca J. Allen and Ashahel Goss and Susan his wife, of the County of Mason and State of Illinois and Rebecca J. Allen of the County of Luzerne and State of PA, $1050, land in Luzerne, 29 acres 110 perches, Signed by Asahel Gofs and Susan Gofs, Witnessed by J. Mott Kline. State of Illinois Mason Co., Asahel Gofs appeared, signed by J. H. Wandel JP 25 Day of Feb 1859. Recorded Dec 10, 1862. 1859 – Philip Goss & wife to Rebecca Allen, Vol. 89, page 98 -99, 14 May 1859, both of Huntington Twp. $130, containing 13 acres being part of Lot 38 & 39 in 2nd Division as patented by Joseph Bochler 21 Feb 1813, signed by Philip Goss and Huldah Gofs witnessed by John Blanchard and Ellen M. Moss. Signed by John Blanchard JofP, Recorded Dec 10, 1862. 1863 – Commissioners of Luzerne County to Weston Goss, Vol. 192, pages 157-158, Selling of unseated lands for taxes and for other purposes passed the 18th day of March 1815, tract of unseated lands 430 acres situated in Fairmount Twp. surveyed to Susanna Beach duly bid off deed 14 July 1856, another law passed 29 March 1824 is quoted, published in newspaper in arbitration room in the court-house in Wilkes Barre 27 October 1863 sold to Weston Goss of Fairmount Twp. sum of $3.00 being highest and best bidder. 9 October 1863. Signed by Sam’l Vaughn, Nathan Kocher and Stephen Davenport (Commissioners), Received money by Treasurer James Walsh. Witnesses C. F. Barnum, and C.A. Ziegler. Signed by C.A. Ziegler Justice of the Peace, Recorded 11 Dec 1875. 1864 – Richard B. Goss & W. to John M. Hurlinger et. all, Vol. 103, page 123-125, 4 Nov 1864, Richard B. Goss and Rosa his wife of Fairmount Twp., John M. Hurlinger, Andrews Hurlinger of Fairmount. $1650, tract of land situate in Fairmount Twp. upon the Susquehannah and Tiogo Turnpike Road, Containing 88 acres 100 perches of land deeded to R. B. & J. W. Goss by Furnan Taylor by deed date 24th of May 1858 and other part deeded to said R. B. & J.W. Goss by John Kale 16 of Mar 1860. Signed by Richard B. Goss and Rosa Gofs, Witnessed by Wm. P. Robinson and John H. Huff. Signed by Wm. P. Robinson Justice of the Peace, Recorded 17 Apr 1865. 1865 – Philip Goss & W to John Gregory, Vol. 120, page 461, 3 June 1865, Philip Goss and his wife Huldah, all of Huntington $1000, tract of land lying in Huntington Twp. Containing 50 acres part of a larger tract of land by deed Amos F. Barnum dated 20 June 1859 and another deed dated 13 June 1863, Recorded in Deed book No. 90, page 800 William Sax by deed to Philp Goss dated 8 April 1865 Record in Deed Book No. 103 page 101 12 day of April 1865. Signed by Philip Goss and Hulda Goss, Witnessed by B. Suttliff and Elizabeth Suttliff, Rec’d by me Eliza C. Taylor , Signed by Barnard Suttliff JP Recorded Dec 5, 1867. 1865 – Philip Goss & W to Archibald S. Rittenhouse, Vol. 103, pages 333-334, 8 April 1865, Philip Goss & Huldah, his wife, Archibald S. Rittenhouse of New York City $3500, land situate in Huntington Twp. containing 130 acres being part of a larger tract of land which came bested in said Philip Goss by Deed from Joseph Bachelor dated 4 Sept 1813 Deed book No. page 62 16 Mar, 1814 and from Thomas Dodson dated 12 Sep, 1817 recorded the 11th day of Nov. 1817 one by deed Cyrus Fellows Dated the 5th day of April 1817 Recorded 7th day of April 1817 in Deed Book 17 page 571 and the one other by a deed from John Bowman dated the 21 day of August 1816 Recorded the 9th of January 1823 No. 22 page 265. Signed by Philip Goss & Huldah Goss, Witnessed by Charles Wilson and Cecia M. Sutliff, Signed by Barnard Suttliff JP Recorded June 2, 1865. 1865 Weston Goss & W to Samuel F. Headley, Vol. 192, page 158-159, 18 May 1865, Weston Goss and Delana, his wife of Huntington Twp. and Samuel F. Headley of Morristown, New Jersey, $550, tract of land in Huntington Twp., containing  acres 15 perches allowance on warrant dated 6 august 1793 to Susannah Beach, Signed by Weston Goss and Delanah Goss. Witnessed by B. Sutliff and R. J. Headley, Came before me 6 June 1865, Delanah is examined and asked if by her free will, 6 June 1865 by Barnard Stuliff JP, Recorded 11 Dec 1875. 1865 – William Sax & W, to Philip Goss Vol. 103, page 101-102, 8 April 1865, William Sax and Mary Sax his wife of Huntington Twp. $5000, Long chain of title is described, 80 acres being part of Lot #36 certified to Eli Seward containing 50 acres and sixteen perches, allowance by John Steel Patent dated January 23, 1840 Recorded in Deed Book No. 48 page 637, the other part of Lot #37 in 2nd Div. Patented to Wm. Koons by Patent dated Oct 24, 1837 – Wm. Koons to John Steel by deed Jan 24, 1852 Recorded in Deed Book No. 53 page 589 etc. Very complicated – Signed by William Sax and Mary (her mark) Sax, Witness Milton Good. Signed in presence of William Good, JP, Recorded Apr 12, 1865. 1866 Philip Goss & W to Weston Goss, Vol. 118, page 479-480, 6 March 1866, Philip & Huldah Goss wife, $1000 in Huntington Twp. 42 acres thirty perches with a reserve of two rows of Apple Trees one half of the fruit during my natural life. Signed by Philip Goss and Huldah Goss, Witnessed by Asa R. Allen, Singleton M. Goss. Presence of G. Sutliff JP, Record July 31, 1867. 1867 – James W. Gofs & W to Philip Goss – Assignment – Vol. 182, pages 503 – 504, James Goss and Hester Ann his wife, $1500, 20 acres, 21 May 1867, Signed by James W. Goss and Esther A. Goss Witnessed by Wm P. Robinson, George Magill. In presence of Wm. P. Robinson JP, Recorded 17 July 1869. Note on side: For original See [ ] No. 102 page 394 & 0. Page cut off. 1867 – Philip Goss & W to James Goss, Vol. 123, page 331-332, Philip & Huldah Goss, $1500 by James Gofs, tracts and parcels, 50 acres and 80 perches, 21 May 1867, Signed by Philip Goss & Huldah (her mark) Goss. Witness by Wm. P. Robinson and George Magill, In presence of Wm. P. Robinson JP, Recorded 8 April 1868. 1869 – John M. Goss & W to Peter Foust, Vol. 135, pages 143-145 John M. Goss and Mary his wife of Fairmount Twp., Peter Foust of Fairmont Twp. $200, 11 acres strict measure part of land in the warrantee name of Thomas Arnott and sale for taxes by Zura Smith Treasurer of Luzerne Co. conveyed to Zebulon H. Stevens deed dated July 29, 1828 and by him conveyed to John M. Gofs by deed date of April 13, 1840 and by him to Peter Foust by deed date June 12, 1869, Signed by John M. Gofs and Mary Gofs, Witnesses Wm. P. Robinson and Miles Harvey. In presence of 12 Jun 1869 Wm. P. Robinson JP Recorded Sep 4, 1869. 1873 – Charles T. Barnum & W to Weston Goss – 17 Sep 1873, Vol. 171, page 93 to 94, Charles T. Barnum and Sarah A. his wife, Twp of Lake Co. of Luzerne and Weston Goss of Lake Twp. $100, land in Lake Twp, 10 acres 51 4/10s perches. Part of a large tract of land surveyed in the Warrantee name of Amasa Baly title became vested in Charles T. Barnum. Signed by Charles T. Barnum and Sarah A. Barnum, Witnessed by James Crockette and Jonas E. Reed. In presence of 17 Sept 1873 James Crockett JP, Recorded 17 Sep 1873. 1873 – Geo. W. Search & W. et al, to James Goss, Vol. 209, page 110 to 111, 8 July 1873. Geo. W. Search and E. his wife, Lot Search and Irene E. his wife of Shickshinny and James Goss also of Shickshinny Co. $250, Signed by Geo. W. Search, Ann E. Search, Lot Search and Irene E. Search, Witnesses H.S. Clark and W. B. Foust. In presence off 28 July 1873 H.S. Clark JP, Recorded 25 Janu’ 1878 Exd. 1873 – Jonas E. Reed & W to Weston Goss, 25 March 1873 Vol. 167, pages 213 to 214 Jonas E. Reed and Amy Read his wife Township of Lake Co. of Luzerne, Weston Goss late of Huntington Twp. $200, land in Twp of Lake containing 90 acres and 48 perches, refers back to Benj. Baty patented to Nathan Kocher dated April 7, 1868 gets more involved with other deeds, Signed by Jame E. Reed and Amy Reed, Witness Wm. Koons and James Crockett. In presence of 5 Mar 1878 James Crockett JP, Recorded 23 May 1873. 1873 – Weston Goss & W to Martin L. Brown, Vol. 167, page 394-395, 24 March 1873, Weston & Delana Goss, his wife, Huntington Twp., Martin L. Brown Jenkins Co., PA, $2600, land in Huntington, Containing 42 acres 80 perches — being the same tract of land Philip Goss deeded to said Weston Goss 6 May 1866 Recorded Deed Book No. 118 page 479, Recorded 31 July 1867. Signed by Weston Goss, Delanah Goss, Witnessed by Wm. Koons and Jonas E. Reed. In Presence of James Crocket JP Recorded 24 June 1873. 1876 – J. W. Goss ex ux to Andreas Hirlinger, Vol. 196, page 169 to 170, 19 Apr 1876, James W. Goss and Ester A. his wife Boro of Shickshinny Co. of Luzerne and Andreas Hirlinger of Fairmount Twp. $15 land in Fairmount Twp. 80 acres 100 perches – Being part of tract deeded to R B & James W. Goss by Firman Taylor and the other part to the said R. B. & James W> Goss by John Kail formerly owned by R.B. & James W. Goss. Signed by J. W. Goss and Esther A. Goss, Witnessed by A. F White, J. M. Hirlinger. In Presence of A. F. White JP, Recorded 8 May 1876. Note ex ux refers to the wife. 1879 Weston Goss & W to James Turner, Vol. 215, pages 45-46, 10 March 1879, Weston Goss Twp of Lake & Delanah his wife to James Turner Borrough of Plymouth Co in PA. $1000 land in Lake Twp. 90 acres 48 perches conveyed by J. E. Reed and wife to the said Weston Goss by deed dated 25, 1873 Deed book No. 167 page 213 Plus another 10 acres 51 4/10s perches same premises conveyed by Charles T. Barnum and wife to said Weston Goss by deed 17 Sep 1873 Book 171, page 93 etc. Signed by Weston Goss and Delanah Goss, Witnessed by Sam F. Wadhams, D.S. Bennet. In Presence of D. J. Bennet Notary Public, Recorded 11 Mar 1879. Once again you can find these deeds in the Luzerne Co. Deed records at Family/Search (Family History Library). Hopefully, I have found them all but I might have missed a few. Some of the descriptions of the land are quite involved and would take a lot of care in interrupting the land lots and sections. I also notice as time passed the land got carved up more and more leaving the Lot system behind. It is now time to move on to other children of Philip Goss IV and Mary Kendall. In the next post we will learn about another of their children.